Kids grown out of their current uniform? Looking for something a bit bigger? We have commenced operating a free service for our members to advertise their second hand uniforms. Please note the club will be holding a general meeting from 7pm on Tuesday 19th February at the Chermside Bowls Club. All members welcome. 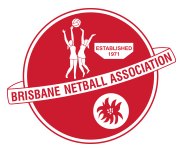 If you have agenda items please email the Secretary, Michelle Bates at enquiries.klnetball@gmail.com.